The Rambo Airmax Cooler Rug with Disc Closure is a super light, super effective cooler rug. Made from Polyester airmesh fabric that features 3D construction with a soft absorbent inner to effectively wick away moisture. 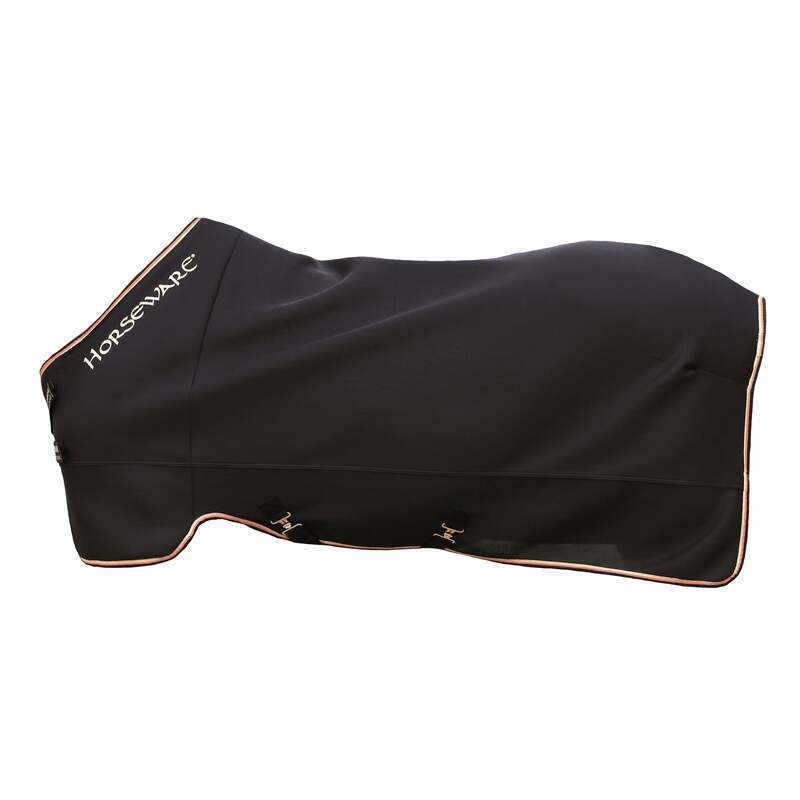 The Airmax Rug helps to keep your horse warm in cold weather but is also breathable in hot weather. The smooth outer means it can be left on in the stable without attracting shavings or hay. The disc closure is lightweight to reduce weight around the neck and is easy to open and close. Also features detachable surcingles, front leg arches closure and fillet string.